The internet has molded the landscapes in many industries over the past few decades. Internet services have brought one opportunity after another. In the trucking industry, the internet has been a crucial component for industry growth. From global reach to virtual load boards and GPS systems, new technology continues to drive the trucking industry. 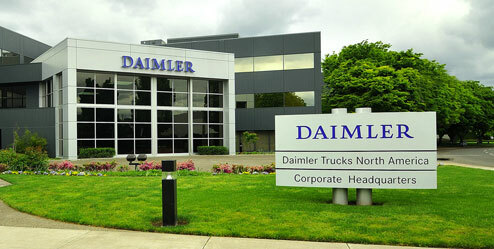 Now, Daimler Trucks North America (DTNA) is using the internet to resolve uncertainty. Every truck driver has experienced the stomach-dropping check engine light at some point and time. When the check engine light is on, we automatically know something is wrong. For a truck driver, the check engine light is much more then a warning. In simple terms, if the truck isn’t moving, you’re not getting paid. DTNA’s engines constantly record performance data and sends it to their Detroit Diesel Customer Support Center (CSC). When a fault occurs, a team of CSC Technicians examine the data in real time and offer a recommendation. If it’s just a routine repair, technicians can help the driver schedule a service appointment for some convenient time and location. If the issue is more severe, they may suggest taking the truck in for service. With advanced notification, the technicians can possibly get a bay open for the truck and parts in transit. This type of internet technology is a game changer. Imagine if you will, you’re going down the road and your truck just dies. Your technicians already have the data in front of them to analyze and offer a solution. If the problem is more complicated, then the techs locate a service port 30 miles down the road. Your tow truck is already on the way, the port already knows the details of the issue and are already trying to establish a cause of your issue. Your parts could be on stand-by. The internet makes it all possible and with this type of technology, it can save time and money. Daimler Trucks North America is building loyalty and trust with this type of trucking technology. It brings a level of certainty to all truck drivers. It saves the company time and money, and the driver. DTNA is building trust and it’s no wonder that more companies are investing in their technology. Having the ability to have data in front of you rather then a truck, it’s a huge advantage. Before the truck hits the shop, the technicians have time to review the data and search for possible failures. And if the incident is minor, a technician can talk the driver right through the process. While the technology is nothing different, the idea and concept is pure genius.